Editor’s note: Based in Switzerland, LafargeHolcim is one of the world’s largest manufacturers of building materials, with a presence in 80 countries. Paul Young, their head of collaboration and knowledge, tells us how they relied on Chrome and Android devices to stay business ready during a merger. Merging two large companies, with two large IT systems, is a challenge even under the best of circumstances. So when the world’s two largest cement manufacturers, Lafarge and Holcim, merged in 2015, ensuring business continuity while integrating these two IT systems was a top priority. Fortunately we had Chrome to help. Before the merger, Lafarge and Holcim both migrated to Chrome, making the transition easier, faster and more cost-effective. 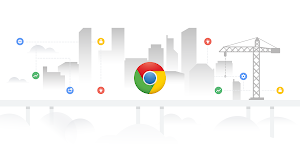 The merger increased the company’s global presence to 80 countries, but with Chrome, updates were automatic. Chrome was also pre-installed on each desktop and mobile device, so we saved time because we didn’t need to deploy it region by region. 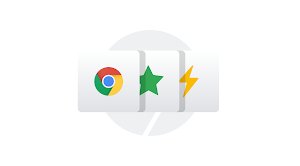 Google's admin console has made it easy for our IT department to manage both Chrome browser and Android devices from a web-based application. Since we have offices around the globe, this was crucial. Not only are Android devices affordable, but our IT department finds them easy to set up and manage from one administrative panel. And with Chrome, our IT staff can manage browser settings for our employees’ devices no matter where they are. Overall, the combination of Chrome and Android devices has saved the company thousands of dollars every year. Since the merger, LafargeHolcim has become a leader in manufacturing cement, concrete, aggregates and asphalt, but our growth hasn’t diminished our pace of innovation. In 1864, Lafarge won the “contract of the century” and delivered materials to build the Suez Canal. In 1942, Holcim created one of the world’s first cement research and testing facilities. Combined, LafargeHolcim has over 180 years of experience. And with Google, we’re able to help our employees do their jobs better as more of their work moves online and goes mobile—and continue to innovate.